Get rid of all fear and hindrances and prophesy in safety and with confidence. "Follow the way of love and eagerly desire gifts of the Spirit, especially prophecy." Two-day practical prophecy conference in Loughborough. For anyone! What people said from our first school. "Before, I had a desire to prophecy but felt inadequate , overawed by the prophetic giants around me and didn't speak out very often . After, I felt empowered by the Holy spirit and realised that he was giving me loads of insight and words for people which I needed to listen to and act on . So I did , because I was getting loads of encouragement too which greatly helped ." "It gave me confidence to use and taught me to trust what I was hearing from God. " 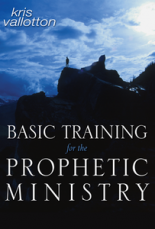 Our team has learned a lot from Kris Vallotton's curriculum Basic Training for the Prophetic Ministry, and we recommend this as reference material. There will be a lot of testimonies, practical activations, impartations and plenty of room for sung and creative worship. A bit about the content, style and impact to expect from this training. Above everything else, we prioritise creating a safe and encouraging environment within which every attendees' unique gifting will be brought out and developed. It's going to be fun, practical and honouring. Expect to laugh a lot, maybe cry, and certainly increase in boldness and confidence in who you are. You will feel more confident and empowered than ever, because you will realise that ever since you were born - you could hear the voice of God. You will recognise and walk powerfully in your own flavour of the prophetic gift. You will see an increase in the accuracy and timing of your words, leading to changed lives around you - within and outside of a church context. We don't care if your 18 or 81, if you love Jesus and breath oxygen - you qualify. We believe the prophetic gift is enhanced and enriched by different perspectives, and it is equally open to female and male believers. We love the 'manifold' wisdom of God's beautiful church. We believe that there is an expression of the prophetic gift that fits any and every expression of church. Do not feel held back by tradition - but come with an open mind, ready to learn and share with others of different church streams and experiences. OK, that bit is from scripture, but not from Joel. It's just Alistair being silly, but with a point: God can speak through any person, any animal or any object. He's God, expect fun (and sometimes strange) things to happen. We're taking a lead from scripture on this. Read Joel 2:28. Discount: 10% for Students, Unwaged & Groups of 5+.